The USECOM Joint Analysis Center (JAC) mission is to analyze, process and produce fused intelligence information for the United States and NATO. The area of responsibility consists of more than 77 countries across Europe, Africa and the Middle East. It supports mission planning and operations by US, Allied and NATO commanders during peace, crisis and war. The 423 ABS is the host unit providing support services for the JAC. Personnel from all four U.S. military services are assigned to the Joint Analysis Center and contribute to the intelligence mission. The JAC activated at RAF Molesworth in 1992, moving from its base in Stuttgart, Germany. The population assigned-served as of late 1998 was: Active Duty: 1,400 Family Members: 2,400 Retirees: 1,320 Civilian Employees: 665. RAF Molesworth was established as a bomber base for the Royal Air Force and it was first occupied by the Royal Australian Air Force equipped with Wellington IV aircraft. In February 1942, Gen Iran Eager and four US staff members inspected Molesworth for possible American use. Later that year, the airfield was extended to accommodate US heavy bomber aircraft. In July, the first American unit, the 15th Bombardment Squadron,arrived. The squadron's operations also marked the beginning of American daylight raids over occupied Europe. The 15th transferred from Molesworth and was replaced by the 303d Bombardment Group in September 1942. The 303d flew B-17 Flying Fortress aircraft from the base until 1945. In May of that year, the RAF regained possession of Molesworth until 1946 when the airfield was closed down. Molesworth reopened in July 1951 for US Air Force use. The runway was extended again, and facilities were modernized before flying commenced in February 1954. The 582d Air Resupply Group flew B-29 Super Fortress, C-119 Fairchild Flying Boxcar transport and SA-16 Grumman Albatross search amphibian aircraft out of RAF Molesworth to support special operations. The 482d Troop Carrier Squadron replaced the 582d in October 1956. The 482d flew SA-16 and C-54 Douglas Skymaster cargo transport aircraft until aircraft until May 1957. In February 1985, after nearly 20 years of relative inactivity except for its use as a military family housing annex, Defense Reutilization and Marketing Office storage area, and Defense Mapping Agency site, the base reverted to the Royal Air Force. Preparation began for the ground launched cruise missile mission, and new facility construction began in September 1985. 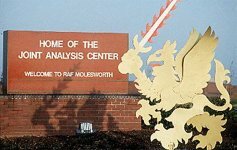 The 303d Tactical Missile Wing was activated on 12 Dec 86 at RAF Molesworth. On 23 Jul 87 the RAF transferred operational command and administrative control of the base to the USAF. The 303d Tactical Missile Wing's mission changed significantly after the United States and the Soviet Union agreed to limit Intermediate- range missiles in 1988 under the Intermediate-range Nuclear Forces Treaty. The first removal of operation cruise missile treaty-limited items from Western Europe occurred Sept 8, 1988. On 19 Jan 89, the Soviet inspection team returned to conduct a close-out inspection of the base. On Jan 30, 1989, the 303d TMW was inactivated. 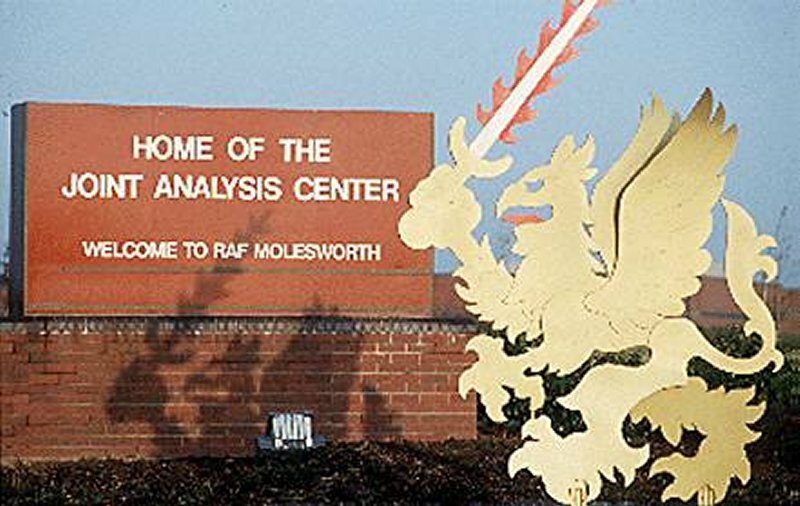 Some of the facilities at RAF Molesworth covered under the treaty remained subject to Russian inspection until 2001.